Clean low mileage off lease work truck! Truck features include 2.5L 4 cylinder engine -- automatic transmission -- quad cab seating -- AM FM CD stereo with auxiliary input -- hands free steering wheel mounted phone controls -- cruise control -- split bench seat -- center console -- steel wheels -- contractors cap with locking side and rear access doors and more. This unit runs and drives out great and has excellent tires all around. One owner off lease fleet maintained vehicle. We stock 50+ work trucks, vans and other commercial vehicles. Visit our website at KYTRUCK.COM to view our entire inventory! We treat every customer with courtesy and respect! Come see our difference! Delivery available. Call for your free quote! Extended warranties available for most vehicles at great prices. FINANCING AVAILABLE at very competitive rates!! 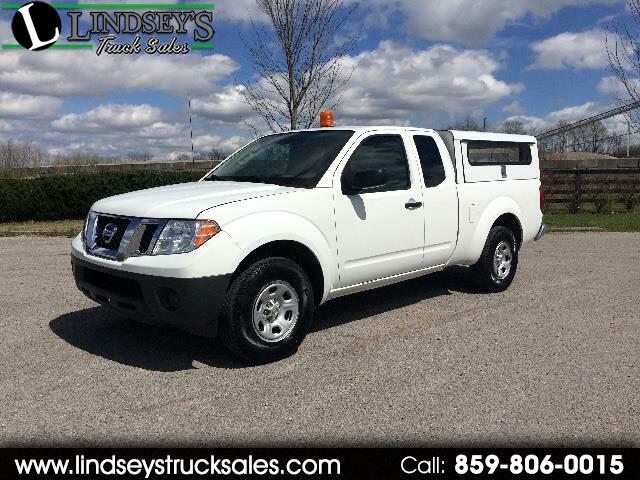 Message: Thought you might be interested in this 2014 Nissan Frontier.